MATTIE Donnelly has admitted Tyrone may have been guilty of looking too far forward last year in anticipation of a glamour date with Dublin. The back-to-back Ulster champions will meet the back-to-back All-Ireland winners on August 27 in one of the most eagerly anticipated encounters in recent years. It will be their first Championship meeting since 2011 and the first opportunity for Mickey Harte and Jim Gavin, both three-times All-Ireland-winning managers, to face off. If their League meetings are anything to go by it should be a tight, tense clash with Dublin outscoring Tyrone by just a point – 5-61 (76) to 2-69 (75) – over five games since Gavin took over in 2013. The sides were on an apparent All-Ireland final collision course last year until Tyrone – who would have played Tipperary in the semis – slipped up to Mayo at the quarter-final stage, and Donnelly (right) admits they may have been guilty of allowing their minds to wander. “In fairness, there was a lot of talk about this game happening last year,” he said. “You could argue that it was in the back of our heads, all that talk about Tyrone-Dublin. Both sides have been largely overhauled since the 2011 quarter-final, when the counties last met, so there is no real Championship form to work off. But Donnelly is confident that Tyrone will prove a match for the Leinster side and won’t be first to blink if the game goes down to the wire. “You can say we haven’t experienced that against Dublin in the Championship before but at the end of the day it’s just another game of football,” said the versatile Trillick man. 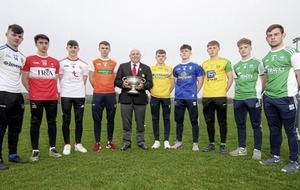 “All of us boys have experienced those situations at some stage in our careers, whether it’s at club level or county level or whoever we’re playing against. “You find usually that sticking to the basics and doing the simple things well and just digging in is what works. It’s really just about preparing yourself mentally. “Whatever way it’s wired into us, whatever way Mickey Harte has us, we always believe in ourselves. 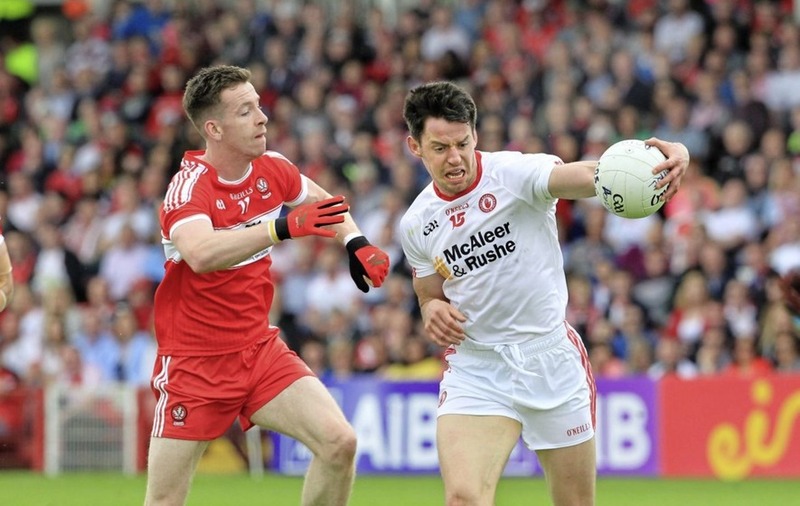 The clash with Dublin could be Sean Cavanagh’s last outing in a Tyrone jersey, as the triple All-Ireland winner has indicated he will retire when the campaign is over. All-Ireland minor medal in 2001, said they’d like to send him out on an All-Ireland-winning high. “Even seeing him around the gym and training, he’s still staying on afterwards for kicking,” said Donnelly. “You do take time to stop and think about the commitment of that man over the years and he’s probably more enthusiastic this year than he has ever been. “You draw hunger from watching that and you do want to put your shoulder to the wheel to give him the best of your effort. SKINS Ireland ambassador Mattie Donnelly was speaking at Kilmacud Crokes at the launch of the new DNAmic TEAM range.